According to a report conducted at the end of 2018 by scientists from London's Kew Gardens, fungi can be used to break down waste materials such as plastic, as it is able to grow on its surface where it secretes enzymes that break the chemical bonds between plastic molecules. "Mushrooms and fungi are truly wondrous organisms with significant untapped potential," said Meiri. "Mycelium consumes organic and synthetic waste to grow into desired shapes and different types of waste alter its properties." Having previously experimented with unusual materials to make lighting, such as sand, seaweed and sea salt, Meiri's intention with his work is to maintain the natural look and feel of the organic materials while applying them to industrial product designs. 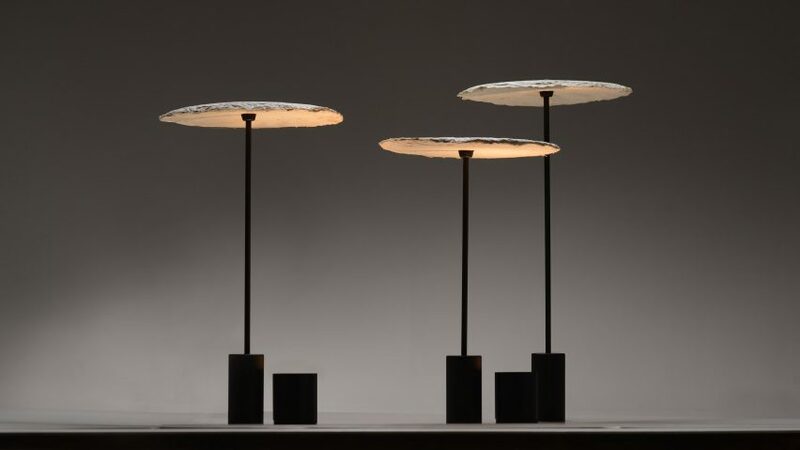 Meiri not only directly used mycelium as a material, but he also took inspiration from the fungi for the design of the lamps, imitating the shapes of mushrooms growing in the wild in a bid to create "a little garden of lights". "When introducing these materials into the domestic environment as light fixtures, I try to keep the beauty of the original material without damaging the function of the object," he explained. "I was curious about mycelium for a long time – the way this material consumes waste is fascinating and I was curious to see what I can do with this beautiful 100 per cent sustainable material." The mycelium lights were initially launched last year during London's annual design festival in two different locations – first at an exhibition called Sustainable Bankside and second at a show called Open Cell, which took place as part of the Biodesign – Here Now exhibit. In a more similar project, British furniture maker Sebastian Cox created a series of simple stools and lights with a suede-like texture from mycelium, which are designed to suit any domestic interior.